Campsis radicans Trumpet Creeper A robust native vine sometimes sold in plant nurseries as 'Hummingbird Vine'. 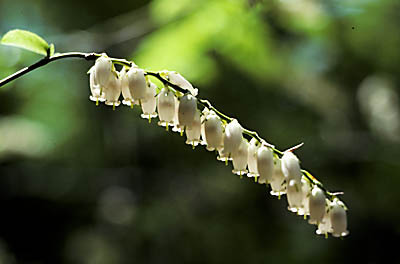 Blooms in early summer. Cephalanthus occidentalis Button Bush This native shrub likes to 'have its feet wet'. It prefers full sun such as ponds and old beaver impoundments. Flowers are a magnet for butterflies seeking nectar. 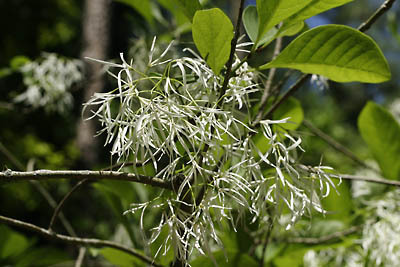 Chionanthus virginica Fringe Tree Clouds of wispy white seem to envelope this little tree in May. 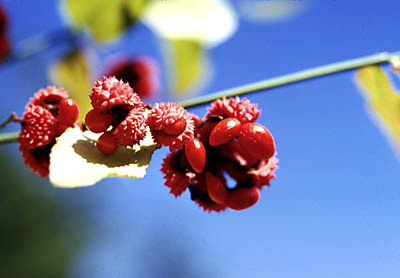 Euonymus americanus Hearts-a-busting-with-love Flowers are rudimentary but this shrub comes into its glory in the autumn when the fruit ripens. 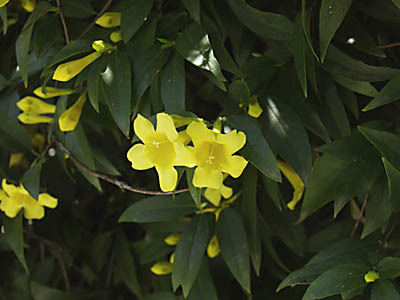 Gelsemium sempervirens Jessamine An evergreen vine that climbs into treetops and can bloom in a mild winter in January but sometimes waits until early May if the weather is cold. 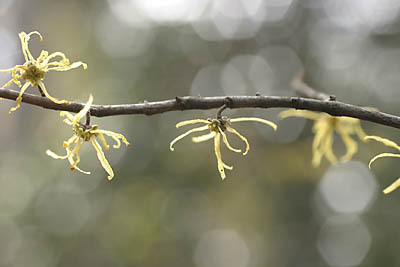 Hamamelis virginiana Witch-Hazel Blooms before the leaves form - usually January or February. It is occasionally found along the Eno riverbanks. 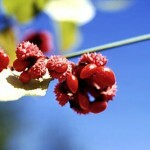 It is the source of Witch Hazel, an astringent lotion.The forked branches were used as divining rods for water. 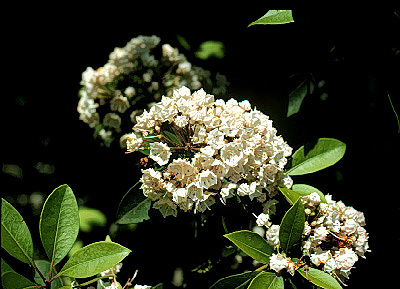 Kalmia latifolia Mountain Laurel The steep shady banks of the Eno become showy when this shrub blooms around mid-May. Uncommon in the piedmont but very common in the North Carolina mountains. Leucothoe racemosa Doghobble This shrub is also called Fetterbush. 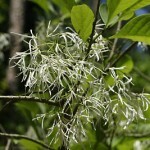 Grows mainly along steep stream banks in thick clumps.